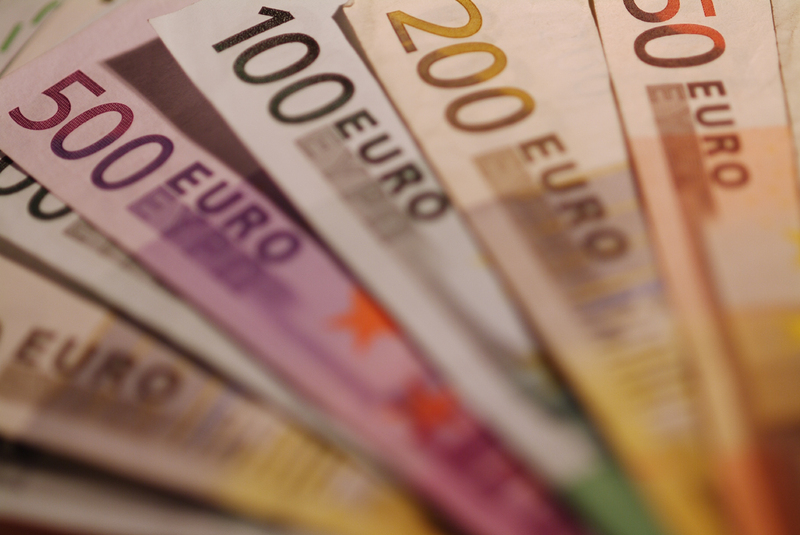 How bad are things getting in the Eurozone? The big story: German bonds are now being priced as a risky asset — what the FT calls the “apocalypse trade“. The interest rate on bunds, at 2.21% as I write this, is still very low by historical standards. But it’s above the rate on UK bonds (2.17%) and way above the rate on US bonds (1.88%). The way to see this is that the market is in effect pricing in a real possibility of eurozone collapse. In particular, market expectations seem to assume that the ECB will remain utterly indifferent to its responsibilities. The German breakeven rate, an implicit forecast of inflation over the next 5 years, is just 1 percent. 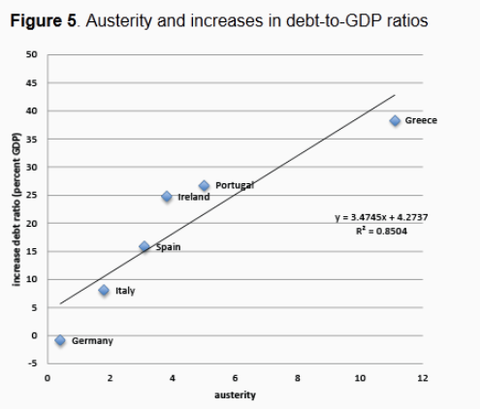 That’s a disaster level, implying severe deflation in the debtor nations — or, more likely, a euro breakup. There is a cruel and almost Shakespearean irony to all of this: the Teutonic monetarists at the ECB, with their sole mandate of price stability, and deep hostility to inflation have had the horrors of the hyperinflation of the 1920s imprinted on their memories. 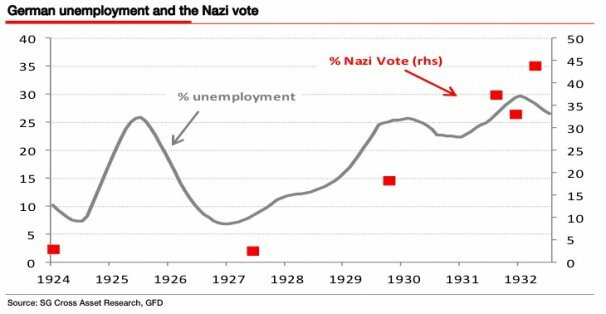 Really, they should have been worried about the credit contraction and austerity of the Brüning years in the early 1930s. 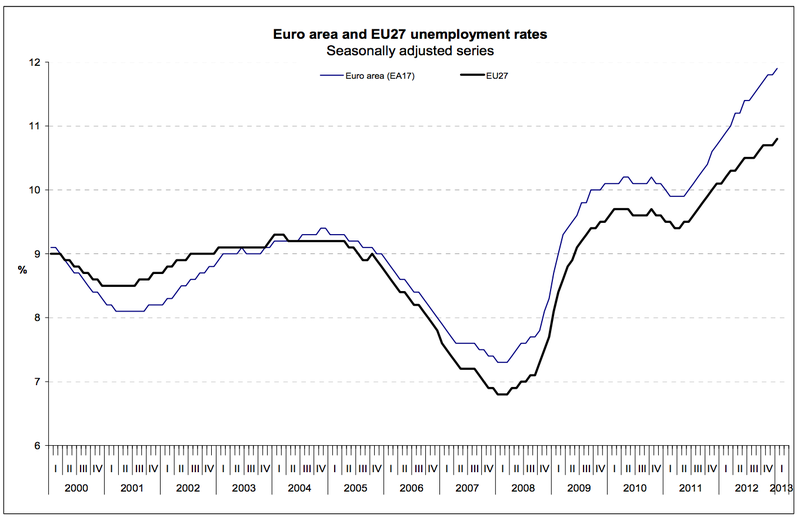 Unemplyment shot up, industrial production slouched, hunger was rife, and Germans were willing to vote for a charismatic Austrian anti-semite bent on consolidating Europe into one. While I do not agree with much from Keynes, he did understand that monetary contractions in a system of fractional banking can totally destroy the productive economy. His response to that was that the answer was government-driven stabilisation. My response to that is interventionism and preservation eventually turns to zombification, and that the true answer to the problem of credit contractions is noticing that fractional banking is a fundamentally unstable and dangerous system, and abolishing or significantly reforming it. But that’s an argument for another day. So the ECB has lost faith in markets and now believes that a form of central planning is a better economic model. 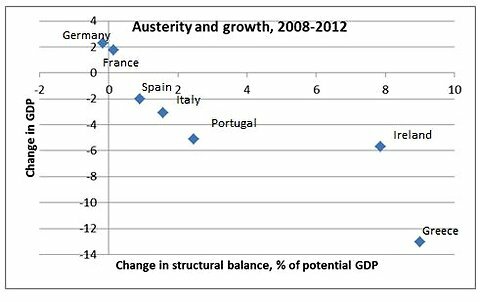 It’s a shame they haven’t lost faith in austerity — because it is those disastrous, divisive, technocratic and wrong-headed policies that will drive Europe to the stage of bank runs and systemic collapse far quicker than anything else. Anyway, despite the technocratic coups d’état in Italy and Greece, a federalised Europe still seems politically and socially impossible. Bureaucrats will be punished for this folly. History always sees to that.